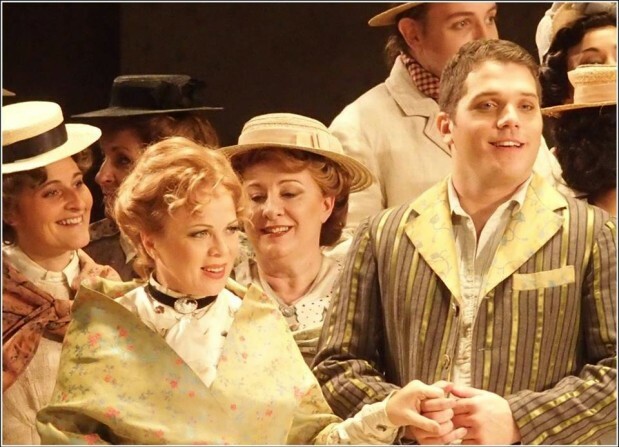 On the last night of 2014, December 31st, Inva Mula conquered the stage of Marseille Opera Theatre with the role of Adina in the “L’elisir d’amore” (The Elixir of Love) comic opera. She performed under Roberto Rizzi Brignoli’s music and orchestra of the theater. This act was the choice of the theater to close 2014 as a successful year for the Marseille Opera and will come up again in the theater scene during the early days of 2015, January 2nd and 4th. “L’elisir d’amore” has been the most featured opera in Italy during 1838-1848. Its premiere took place on May 12, 1832 at the Teatro della Canobbiana in Milan and today is part of the global repertoire of operas. 2014 has been a successful year for the Albanian opera soprano Inva Mula, who was born on June 27, 1963 in Tirana, Albania.